"I see myself as a lawyer/business partner, always mindful of the business nature of my relationships with our clients." Since 2008, Mr. Abramson has served as the State Representative for the 98th District of Louisiana. 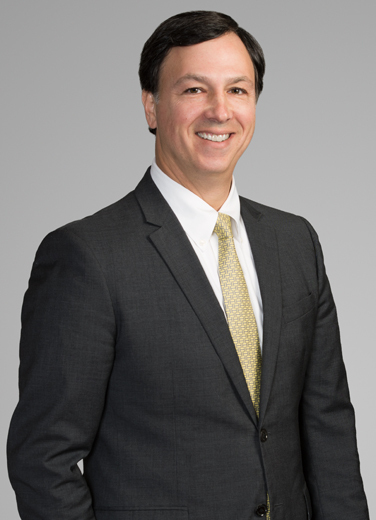 Neil Abramson is a Louisiana litigation attorney representing businesses in difficult cases involving toxic torts, class action litigation, insurance coverage and defense litigation, maritime personal injury and products liability. His clients are often chemical manufacturers facing high-stakes class action cases involving the release of chemicals. Companies in the manufacturing, energy and product sectors rely on Neil. For example, he regularly defends petroleum companies, chemical manufacturers and product developers in personal injury and property damage claims, including short term toxic exposures, long term occupational chemical exposures and product liability claims and has also counseled and represented clients regarding indemnity and insurance coverage matters. A chemical manufacturer was facing a class action certification in Louisiana state court in a chemical release case. Neil helped get the case removed to federal court, where he whittled down the claim through motion practice. Eventually, the class certification was defeated, and that lawsuit was withdrawn by the plaintiff. When an employee was injured due to an allegedly defective product, it sued the manufacturer – as well as the distributor of the product. Neil devised a strategy to obtain the dismissal of the distributor, although it was not his client, because it would set the stage for the subsequent dismissal of his client. Once the distributor was dismissed, Neil successfully argued that the statute of limitations had then lapsed against the manufacturer who was then dismissed. As Neil put it, "I look for unique approaches that get my client out of the case without getting bogged down in the typical expensive litigation blueprint. In addition to hiring a good lawyer who will fight for them, I understand that many clients are looking for their lawyer to be creative in seeking economic, business-oriented solutions to their cases." Direct action claims by plaintiffs asserting coverage for property damage and personal injury claims involving residential and commercial construction, including defective design allegations and water and mold damage. Since 2008, Neil has served as the State Representative for the 98th District of Louisiana. Prior to his public service, he was an attorney with Phelps Dunbar and served as a judicial clerk for The Honorable Frank J. Polozola, U.S. District Court for the Middle District of Louisiana. Chemical manufacturing companies in defense of class action cases involving the release of various chemicals. These incidents generally result in thousands of individual claims for personal injury, property damage, business interruption and inconvenience. Insurance companies ­ domestic and foreign ­ in defense of Hurricane Katrina claims, including issues involving the water damage exclusion, Valued Policy Law (VPL) and adjustment practices. Oil and gas companies in legacy suits involving claims of property and groundwater contamination. A petroleum company in defense of tort and maritime personal injury and property damage claims, including long-term, occupational chemical exposures. Also provided counseling on oilfield indemnity and insurance coverage matters. Nationwide retailer in defense of personal injury and property damage claims in the State of Louisiana. Insurance company in defense of a statewide class action by policyholders asserting breach of contract, detrimental reliance and unjust enrichment claims. Insurance company in defense of a suit by a Louisiana legislatively-created body asserting claims for breach of statutory obligations and fraud. Insurance companies in defense of direct action claims by plaintiffs asserting coverage for property damage and personal injury claims involving residential and commercial construction, including defective design allegations and water and mold damage. Dock and terminal owner in defense of two class action cases arising out of separate releases of crude oil fumes. These cases involve several thousand individual claims for personal injury, property damage and inconvenience. Recreational watercraft manufacturer in defense of maritime personal injury and products liability claims. Neil also represents the company in defense of claims for rescission of sale and property damage. A railroad company in defense of three class action cases involving claims for personal injury, property damage, business interruption, inconvenience and environmental damage. The first case involved potential claims by 20,000 individuals and businesses arising out of the derailment of a train containing hazardous material. The second case involved claims by a nationwide group of employees for alleged chemical exposure in the workplace. The third case involved claims for alleged exposure to hazardous substances by residents living near a soil-blending facility on railroad property. Chemical manufacturer for toxic tort, class action, occupational exposure, and asbestos cases. Dock and vessel owner in defense of maritime personal injury and property damage claims. Vessel operators in defense of maritime personal injury and property damage claims. Office products manufacturer in defense of product liability/personal injury claims involving allegations of manufacturing defects and failure to warn. Professional hockey team, in defense of personal injury and premises liability claims. Corporate owner of local restaurant franchise on matters involving personal injury, property damage, insurance coverage, and contract counseling. International product manufacturers in product liability litigation involving serious personal injuries. Neil coaches his son's basketball and football teams.